A huge fight went down at Halle Berry’s house yesterday morning. 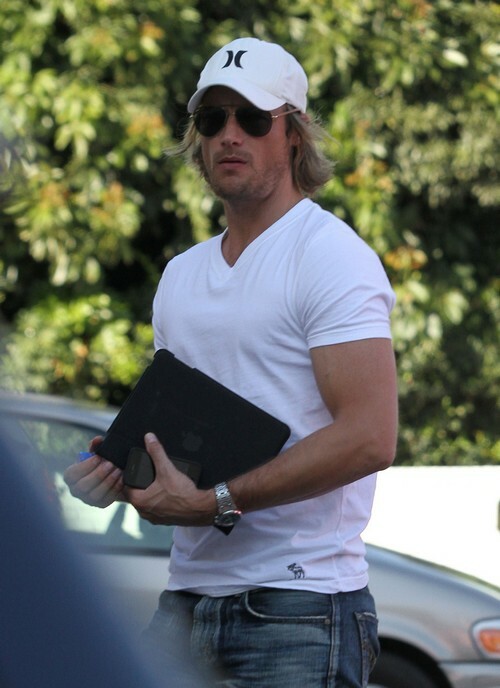 Halle’s ex Gabriel Aubry got into a vicious fight with Halle’s current man Olivier Martinez. Gabriel was arrested – because Olivier claimed he started the fight. At the time, I thought it was all a little too convenient. Why would Gabriel start a fight with Olivier, he just won his court battled over his daughter Nahla with Halle? Seems to me Halle and Olivier would be the ones in the bad mood, not Gabriel. It looks like I may be right, and the whole thing may have been a huge setup. Gabriel claims that security tapes captured the fight and they will prove that he did not start the fight, rather Olivier did. This is all no surprise to me, Halle desperately wants to take her daughter Nahla away from Gabriel and she is ready to resort to any means to get what she wants. What do you think of this situation?